If you're looking for a smoother ride that doesn't compromise on speed either, the Specialized Roubaix may well be the bike for you. Specialized has taken the Roubaix back to the drawing board to find a way to make their 6x Paris Roubaix winning bike even better. 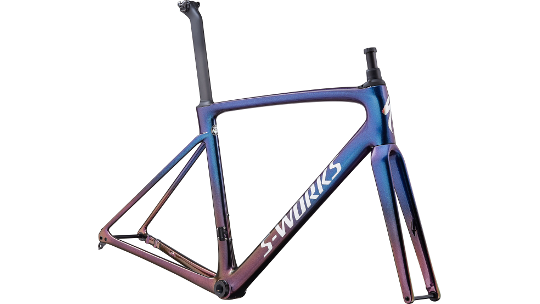 Thanks to re-engineered tube shapes in Specialized's FreeFoil shape library that were then tested in their "Win-Tunnel" the Roubaix frame is now as aero as the Tarmac SL6. Specialized also updated their revolutionary Future Shock suspension system. The 2.0 edition now enables you to make on-the-fly adjustments from open to fully firm. This means that you can adapt to each road surface whether it is cobbled or freshly laid. Finally, the brand-new Pavé seatpost takes the aero D-shape design from the Tarmac and developed it further by adding greater flexibility which results in smoother traction. At the TriStore, we deal with a number of groupset and component brands so you can make this bike as specific to your needs as you want too. 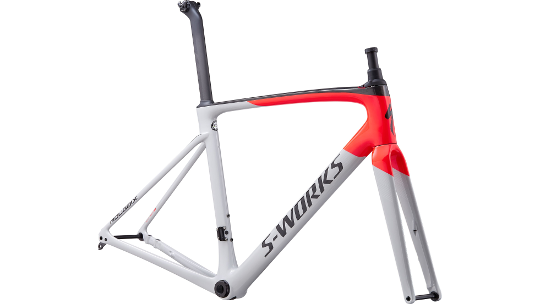 The new Roubaix frame delivers compliance without compromise via the perfect balance of aerodynamics, light overall weight via a FACT 10r carbon construction, compliance, and Rider-First Engineering™. With tube shapes that were born in Specialized's FreeFoil Shape Library and validated in the "Win-Tunnel", the new Roubaix’s as aero as the Tarmac SL6. Meanwhile, to ensure the weight and ride quality, Specialized turned to a Rider-First Engineered™ design to deliver optimal stiffness and compliance across all sizes, from 44 to 64cm. Of course, the frame has shed some serious weight in the process. And to prep you for your own Hell of the North, Specialized have made room for 33mm tyres.